Specialists in all aspects of lock work. Hyden UK offer a nationwide service and are experienced in all areas of lock work and general carpentry. 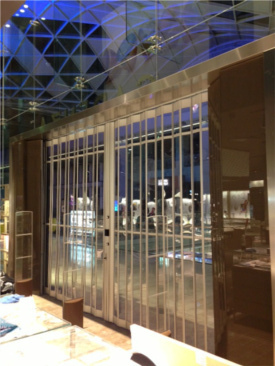 During our years we have seen a huge increase in the use of security gates and roller shutters as entrances to stores in place of standard doors. Naturally we have evolved with this and can help with shutter breakdowns or arranging a service to keep your shutter in good health. Hyden UK's experienced locksmiths offer a complete service. Whether you have lost your keys and need to get in, so that you are able to trade as normal, or need the locks changed for security reasons. Hyden UK are here to help. Please contact Hyden UK today on 0845 450 1442 to speak to one of our experienced team and receive a no obligation quote. Please browse our other services. Hyden UK have it covered when it comes to retail and property maintenance.